Munich, July 1, 2013 – WACKER, the Munich-based chemicals group, will showcase a coolant-resistant liquid silicone rubber for the automotive industry at K 2013, the 19th International Trade Fair for Plastics and Rubber. In its cured state, ELASTOSIL® LR 3022/60 ensures excellent sealing properties, since it retains a low compression set, even under long-term load in direct contact with coolants. This makes the novel silicone a suitable choice in the manufacture of molded seals for engine cooling circuits. ELASTOSIL® LR 3022/60 is designed for injection molding. K 2013 will take place in Düsseldorf, Germany, from October 16 to 23, 2013. Standard silicone elastomers are not really suitable as sealants in the hot areas of engine cooling circuits. As soon as such standard elastomers come into contact with a coolant of over 100 degrees Celsius in temperature – usually a water/glycol mixture – some of their key properties for leak-tightness, such as elasticity and high resilience, deteriorate. At K 2013, WACKER will, for the first time, present a silicone rubber for making seals fully suited for cooling systems. The features very low compression set. 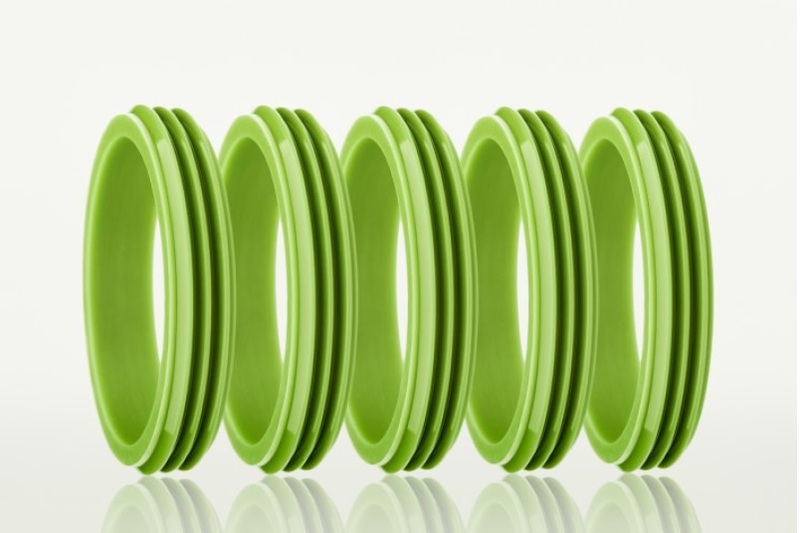 The silicone rubber’s lasting resilience ensures consistently high leak-tightness in the seal groove. Measurements show that the compression set of ELASTOSIL® LR 3022/60’s is no greater than 50 percent even after a thousand hours in a coolant at a temperature of 125 degrees Celsius. Furthermore, the overall property profile of cured ELASTOSIL® LR 3022/60 rubber remains virtually unchanged under long-term load. As a result, molded parts made of the new silicone grade can be used as seals even when they are directly exposed to hot coolants. In addition, the silicone rubber exhibits very good low-temperature flexibility down to -45 degrees Celsius. With this combination of temperature and coolant resistance, ELASTOSIL LR 3022/60 offers an alternative to organic elastomers. The novel silicone is designed for use in cars, in particular. Its strengths excel wherever it regularly comes into contact with hot coolant for a prolonged period of time. Possible applications include seals and other molded silicone parts, both for the cooling circuit and the radiator itself. As a liquid silicone rubber, ELASTOSIL LR 3022/60 can be injection molded with ease. This also makes cost-effective mass production of molded parts possible.